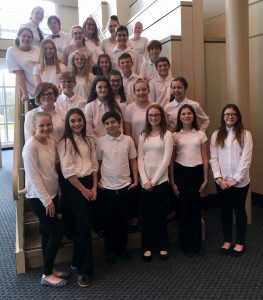 Students from the Marshall County Strings Program recently participated in the Region Honor Orchestra held at Wheeling Park High School on October 19 and 20, 2018. Marshall County students combined with students from Ohio County and Steubenville to form four separate ensembles. The 6th grade ensemble and one high school ensemble were conducted by teachers from the local string programs. 7th and 8th grade students were directed by guest conductor Andrea Houde, who serves as Assistant Professor of Viola at WVU. 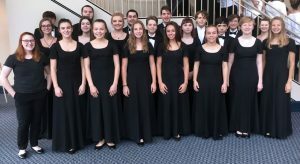 John Wilcox, Professor Emeritus at Youngstown State University, served as conductor for one of the high school ensembles. The event culminated with a concert at which time each ensemble showcased its work.